Delight Your Little Princess with Dreamy Kids’ Beds! 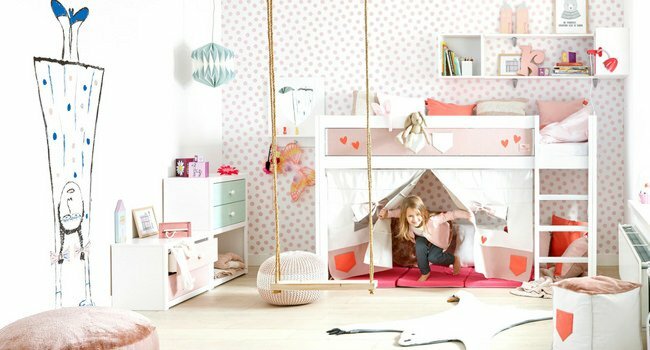 Lifetime Kidsrooms is a wonderfully innovative and thoughtful Danish manufacturer of kids’ beds. At Kuhl Home, we are extremely proud to be the exclusive supplier of this amazing brand to our customers in Singapore. In addition to their sturdy construction, their furniture is flexible enough to stay with your kids right through their childhood. Lifetime Kidsrooms has created a range furniture that not only looks great, but that inspires play in little minds. In this article we look at some of the designs they’ve created that are perfect for little girls. 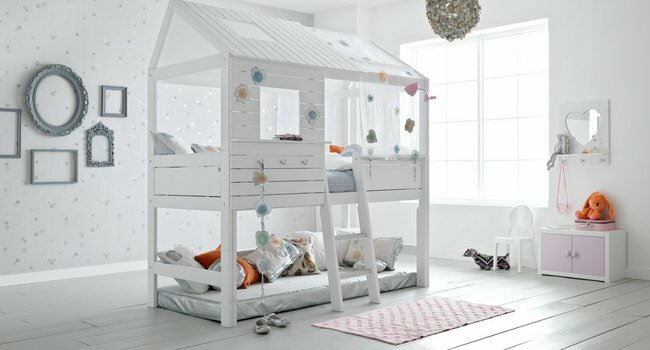 For those little Tinkerbells in your life, there is no more magical experience than bedtime in the Fairy Dust Kids’ Bed. A new addition to the range for 2018, the bed has been designed to conjure up images of pixies and fairies. Whether your little girl is playing or sleeping, she’s going to love this bed that has a low entry gate, making it suitable for even the tiniest of elves. This bed is also available in a loft bed design. The Silver Sparkle bed is much more than a place for your little princess to get her beauty sleep. It’s available in gorgeous Loft Bed or equally stunning Hut Bed design. This is one of our bestsellers, in part due to both its magical design and its dual use as a fairy play station! There’s so much to this wonderful bed that your daughter will insist on play dates, just to show it off to her little friends! When it comes to kids’ beds, there are few more stylish than the Ibiza Bloom Kids Bed. Its ‘half-tent’ design adds more than a dash of whimsy to your little girls bedroom and will have her dreaming of summer. This bed is singularly unique in its design and its floral canopy makes it the perfect setting for her fairytale imagination. For those still young enough to remember their childhood, this bed just shouts “play time!”. The Sugar Pie Bed is both inspirational and functional, providing lots of play opportunities and plenty of room to store toys. Featuring a choice of slanted or straight ladder and play curtains, your little ones’ eyes will light up at bedtime. Offering lots and lots of flexibility and style, the Wild Child Bed is for little girls how love the idea of life in the outdoors. This fantastic model is available in a Loft Bed and Cabin Bed designs. There’s simply oodles of storage and play space with the Wild Child range, offering lots of opportunity for wild, wild play times! When you buy from the Lifetime Kidsrooms range of kids’ beds, you’re investing in their future. Why? Because they’re not only built to last from sturdy, slow growing Scandinavian pine, but their modular design allows them grow as your child does. Each design can be converted into a base bed, meaning when your little treasure grows bigger, there’s no need to buy another bed. Whilst the brand is quite new to Singapore, it’s an established Danish manufacturer with almost 50 years of experience. The company takes environmental concerns very seriously, which is why you’ll find no toxic stains or varnishes on their products. In fact, they’re so sure that their kids’ beds are built to last that they offer a 5 year warranty on every single one. We know just how great Life Lifetime Kidsroom Kids’ furniture is, because we see it every day. We see the look on kids’ faces when they see the range in our warehouse showroom on Pasir Panjang Road. You could take our word for it or pop down to see us. We’d love for you to get a real sense of what we mean by ‘quality workmanship’. If you can’t find the time to see us, you can get lots of information about us, Kuhl Home, by browsing through our website. Alternatively, to speak to someone about anything discussed here, our friendly team is available on +65 68780180 for guidance on the perfect products for your needs. We hope to see you soon. Thanks for reading!